There have been a number of celebrities who have dominated the CF market, shooting a wide variety of CFs for different corporations. But the top advertisement model status for the past year went to none other than Girls’ Generation. A dream-like stage will be put on for SBS’ “K-Pop Star,” which is now at the top 3, Park Jimin, Baek Ahyeon, and Lee Hayi. 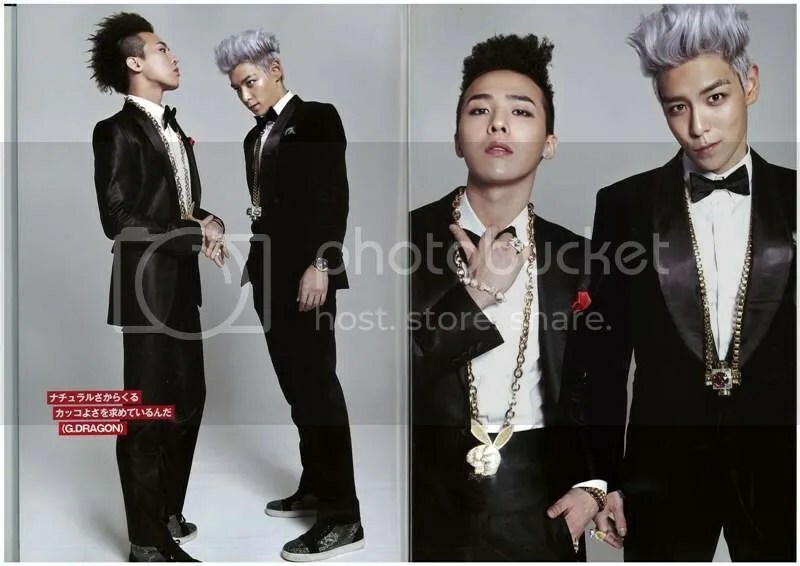 Top Korean stars G-Dragon and TOP, Girl’s Generation, and Miss A will be collaborating with the three contestants. Top stars like Girls’ Generation, Big Bang, IU, MBLAQ, INFINITE, T-ara, miss A, SECRET, Nine Muses, and many more will be walking the runway as well as performing for the ‘K-Collection In Seoul‘! Many fashionistas may know of ‘Refinery29.com‘, a popular one-stop website for fashion, style, and shopping. 2AM and SNSD were chosen as the idol groups fans would like to give Pepero to on Pepero day. Voting took place from 2-9 November. 1590 netizens voted under the category ‘male idol group you would like to give Pepero to on Pepero day’. 2AM easily came first with 515 votes (32.4%). Unlike other male groups, this year 2AM focused on each member’s individual activities. Even though they did not have many performances, they managed to come first in the voting. Trailing behind is second place Big Bang with 196 votes (12.3%). Coming in third is 2PM with 170 votes (10.7%). Fourth and fifth place, Shinee with 160 votes (10.1%) and JYJ 146 votes (9.2%) respectively. For female group category, 1712 netizens voted in total. First place went to SNSD with 967 votes (56.5%). Most netizens expressed that after listening to ‘The Boys’ from SNSD’s third album, they would like to give Pepero to the girls. Following in second place is 2NE1 with 163 votes (9.5%). Other places include KARA 143 votes (7.8%S), miss A 142 votes (7.2%) and Wonder Girls 98 votes (5.7%) respectively. She was followed by Big Bang’s G-Dragon, who received 5,590 votes. 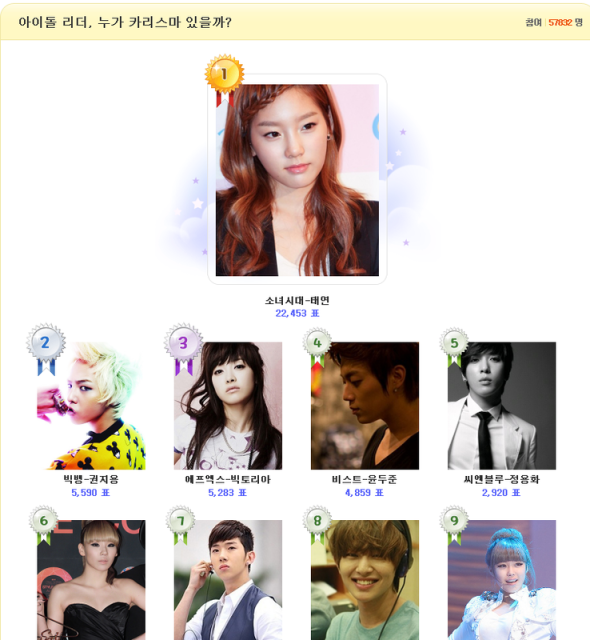 Victoria from f(x) received third place, drawing in 5,283 votes. 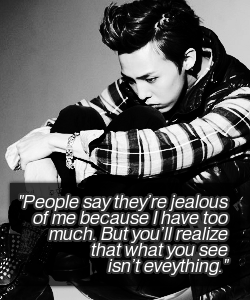 Rounding out the top 4 was BEAST’s Doojoon, who received 4,859 votes.